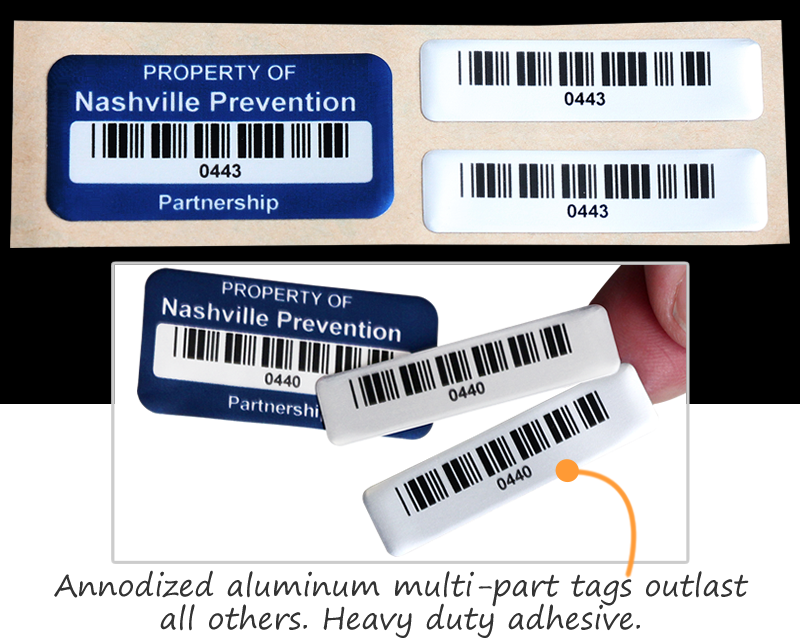 Multipart Barcode Labels let you place an identical marker in a few different areas on your equipment, or place an extra in your records. 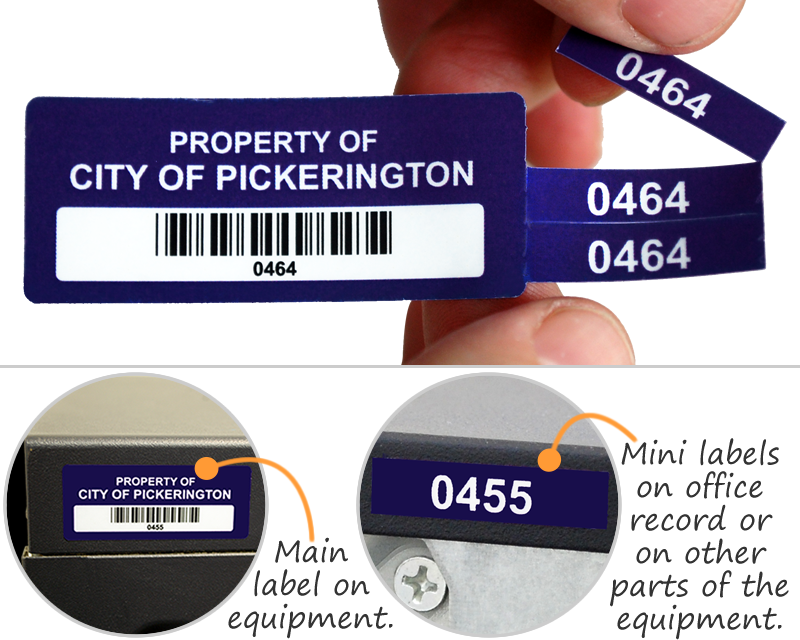 These handy labels have the same duplicate barcodes, so the main label and mini labels have the same numbers. 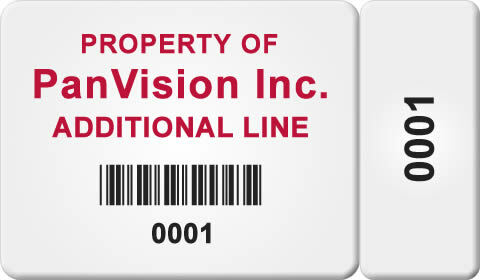 • Use on items like a desktop PC: one label for the tower, and the others for a monitor, keyboard, and mouse. 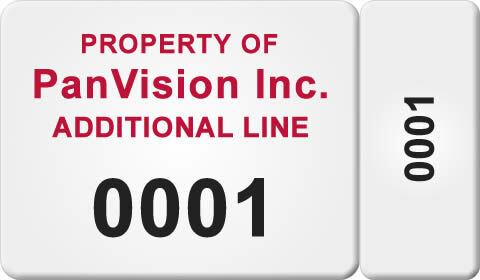 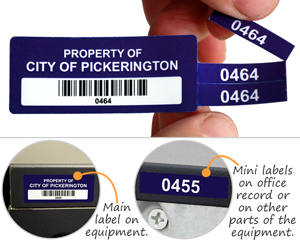 A 4-in-1 label offers an extra advantage - a thief won’t know to remove all the labels. 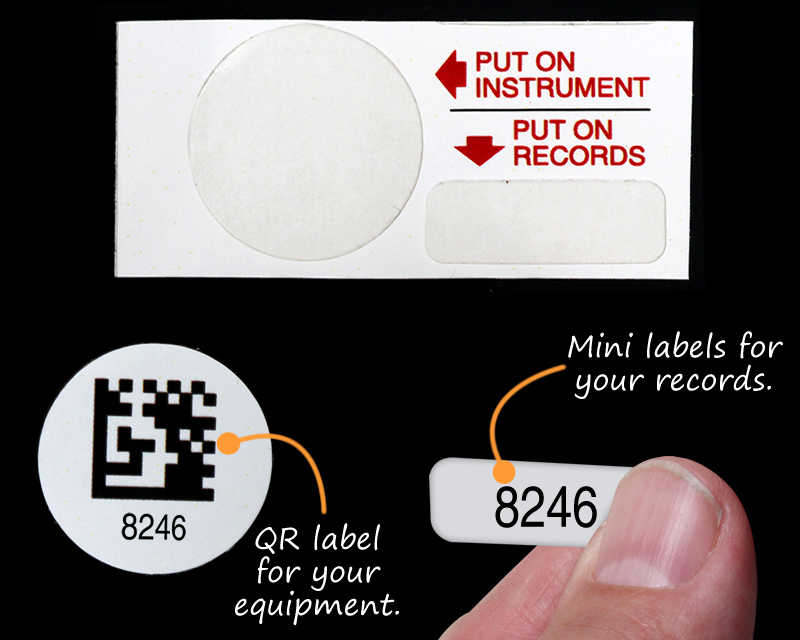 • Customize by adding a starting number, the company name, and contact info. 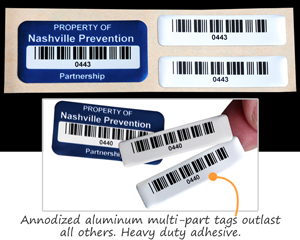 • Choose from heavy-duty anodized aluminum, removable, or destructible materials, and more. Custom 2D Barcode Label Template, 0.75" x 1.5"
Custom Two Part Label, 0.625" x 1.875"
Custom Four Part Label With Logo, 0.375" x 1.375"